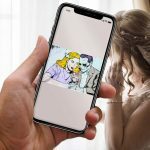 First of all, you might have an awesome idea about a new business model, which you want to document and present to potential business people in a way that it attracts them. 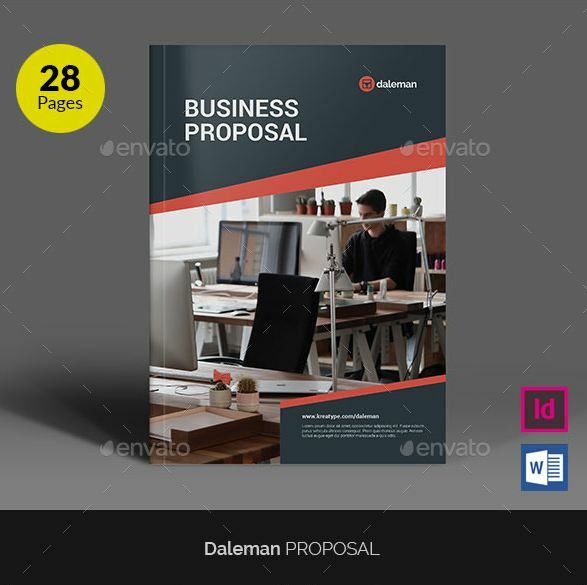 So to do the job in smartest way possible, you can use a business proposal template word document file to save time and furthermore become free from the tension of how it looks. 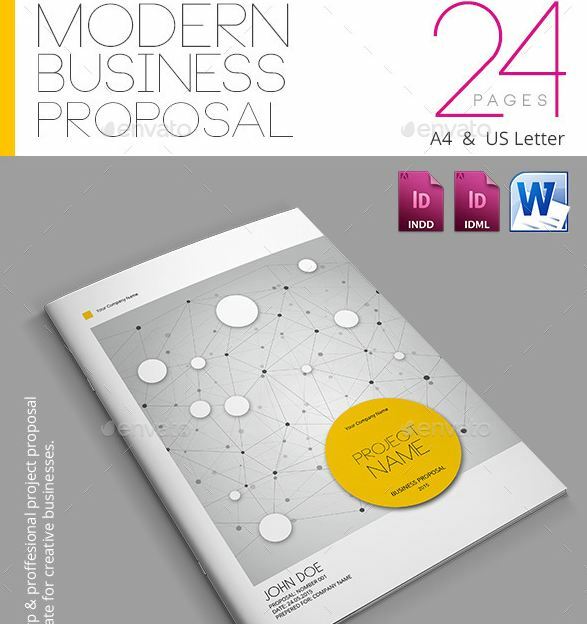 We have created a fantastic collection of business proposal template word doc files. Simply pick the one you think is suited for your proposal theme and edit in Microsoft Word to finally print and that’s it. it’s that much easy. Please note that all these files are editable in Microsoft Word and print ready with high quality and professional design. 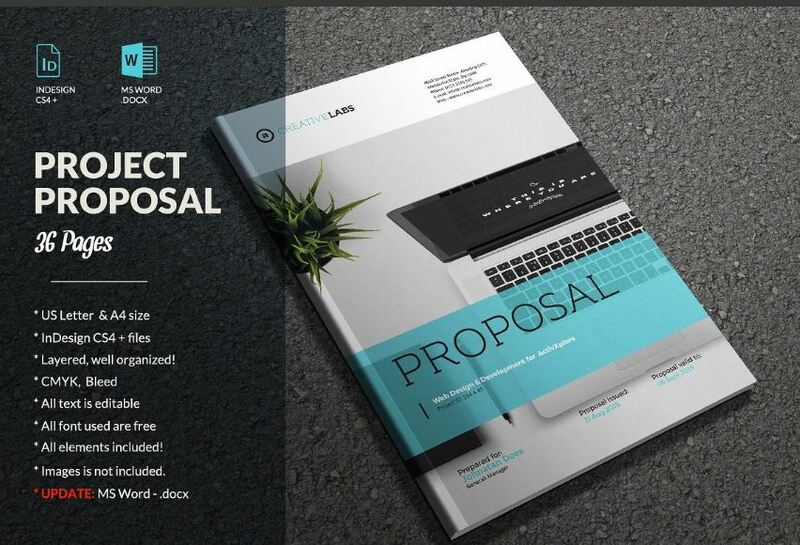 # Please check out at end section for free business proposal word docs. 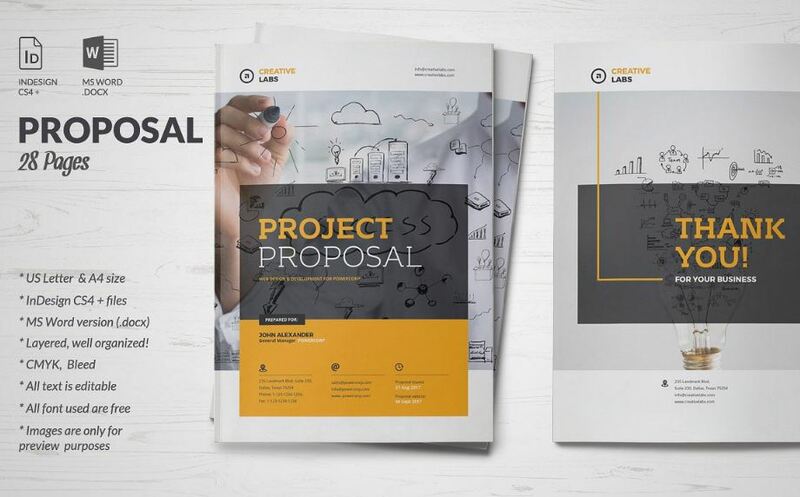 A nice little bundle of business proposal template word documents designed by Occy Design. 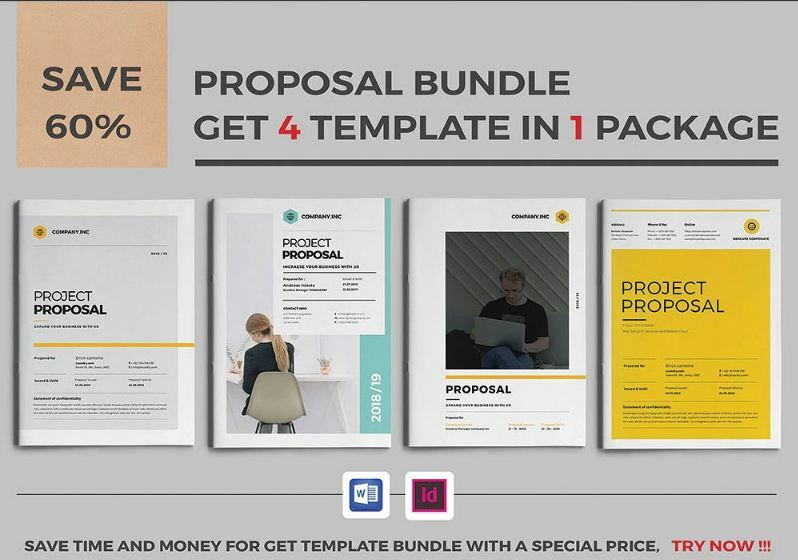 Easily create strong and appealing proposals with your project info with these templates and promote your projects. Download includes 2 paper sizes – US Letter and International A4. Edit them on Adobe InDesign or in Microsoft Word (doc, docx). You can check out the live preview before you collect this item. 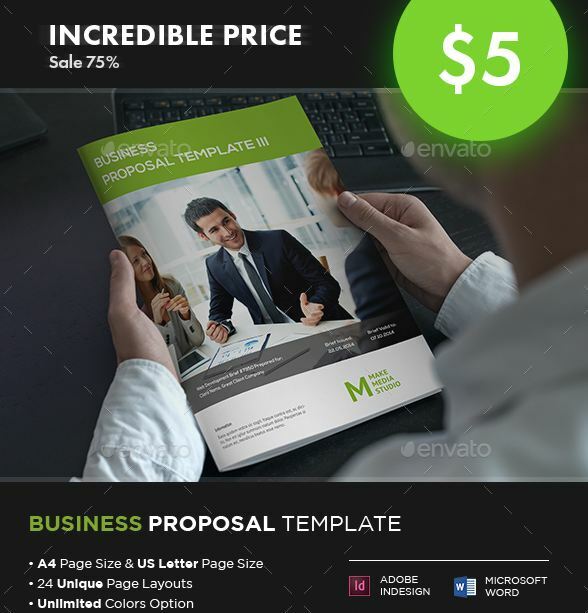 Create and print a persuasive start up proposal. To sell your project to potential buyers, probably you need to create professional appearance for your presentation. And this design from Sabin maybe be useful just for that. 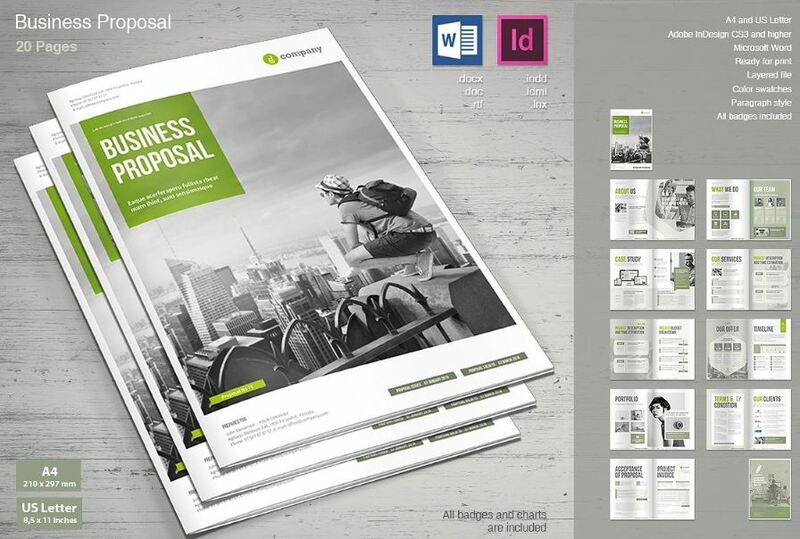 Download includes editable docx files for Microsoft Word and Print Ready templates for Adobe InDesign. It contains a total of 36 page. 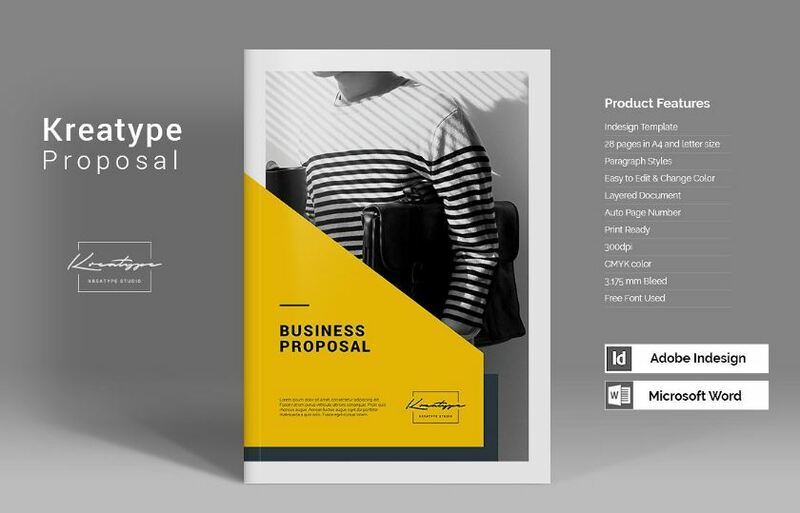 A creative layout design by Kreatype Studio, create neat and clean proposal for big or small business ideas with this one. A total of 28 pages in A4 and letter size is included with the download. 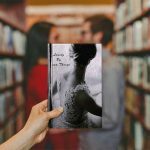 The cover of the proposal looks simple and elegant. Docx files included. 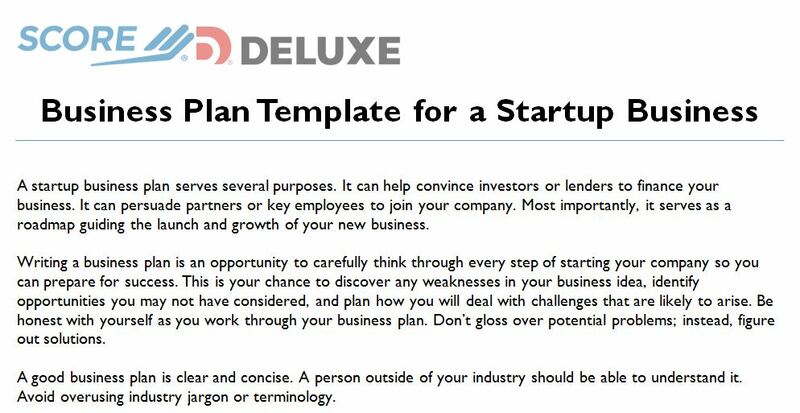 To impress your potential clients with a creative touch on your presentation, this is another great template document for word (docx). There is a nice doodling flavor in the design, which is attractive and fresh to have in a new presentation of ideas. Finally Customize the template in Microsoft Word and print them in A4 paper or on your preferred ones. 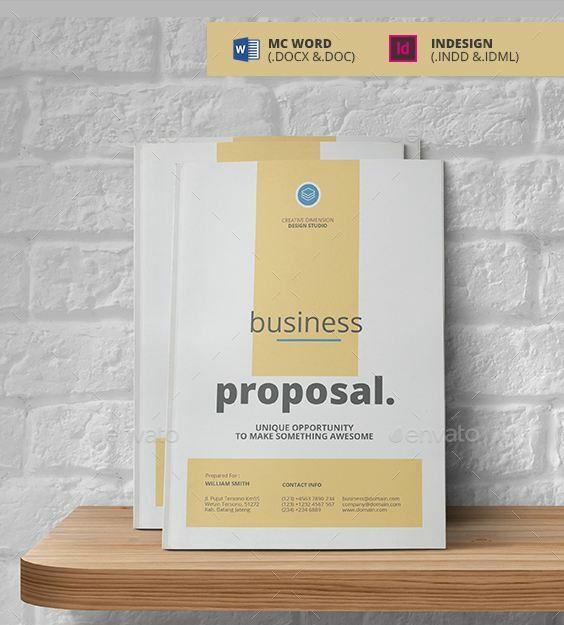 Create professional small business project proposals with this neatly designed word template. Edit it in Microsoft Word with all your small business idea and info. 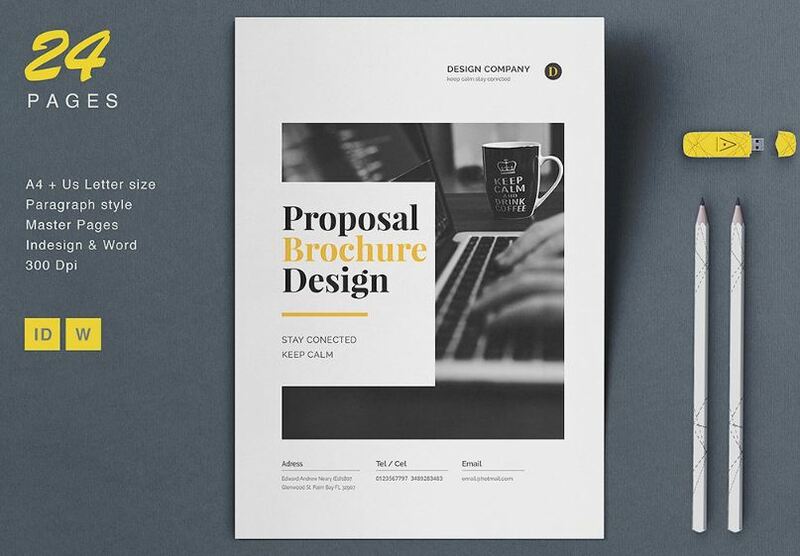 The basic and interactive yet simple design of this template will help you to make your proposal stand out in the crowd. 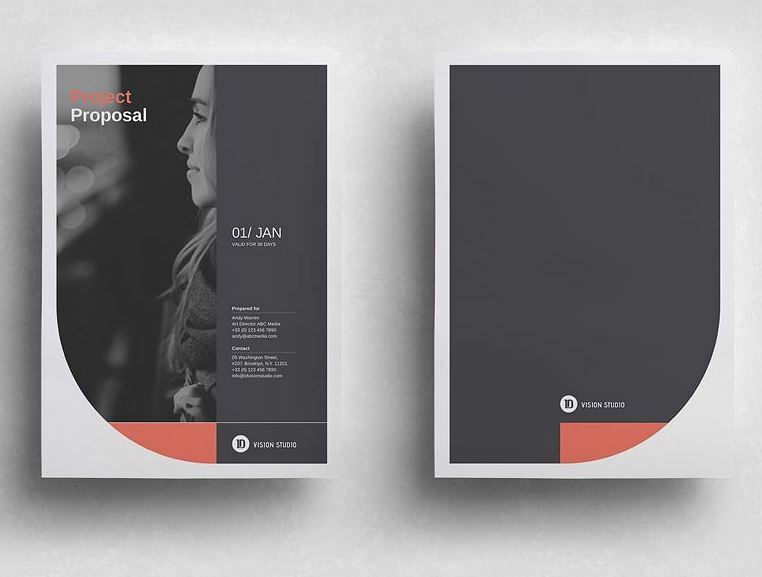 It’s created by BrochuresFactory, this new document template will meet your needs to make an attractive proposal by with it’s professional and smart design. You don’t have to create your own layout and be worried about quality. 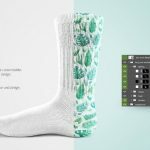 All the contents of this download are editable and change and use your color of choice just with a single click. 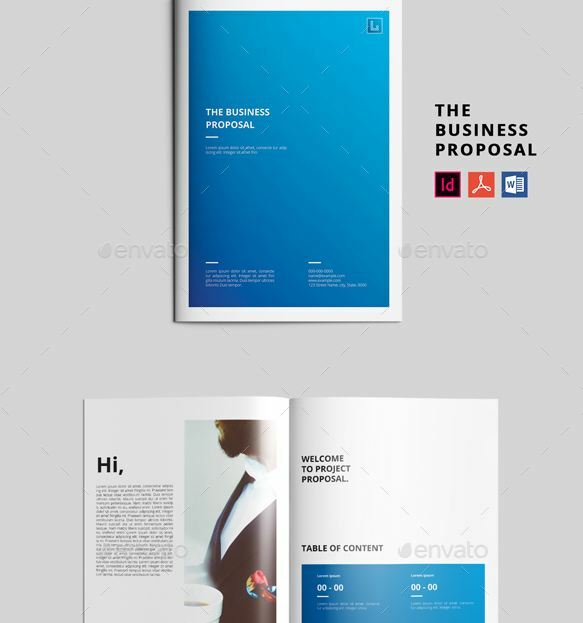 Create a brand specific business presentation for your proposal with this nice business proposal template word document, create the best impression for your brand.  22 printable custom pages will accommodate all the information and details for your reader of your plan in comfortable ways. Files are also editable in Adobe InDesign. Are you a web designer? Or may be a web agency. 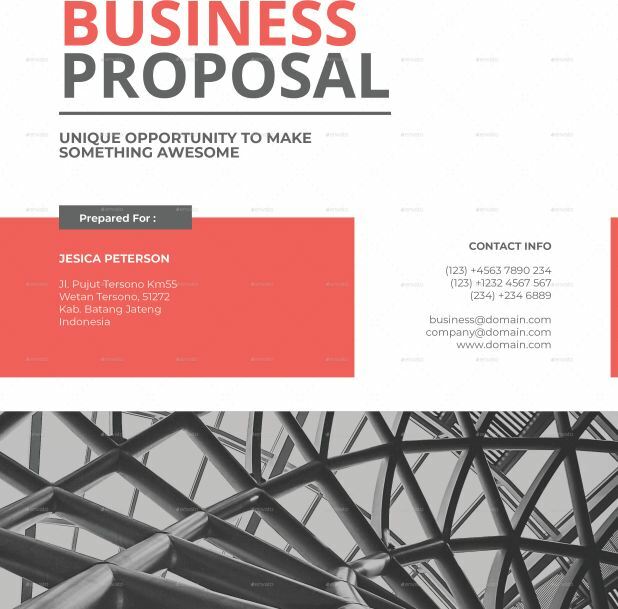 This proposal template is for your clients to provide a complete and clear web design quotation and other idea details. For all sorts of web design agencies or independent web developers. 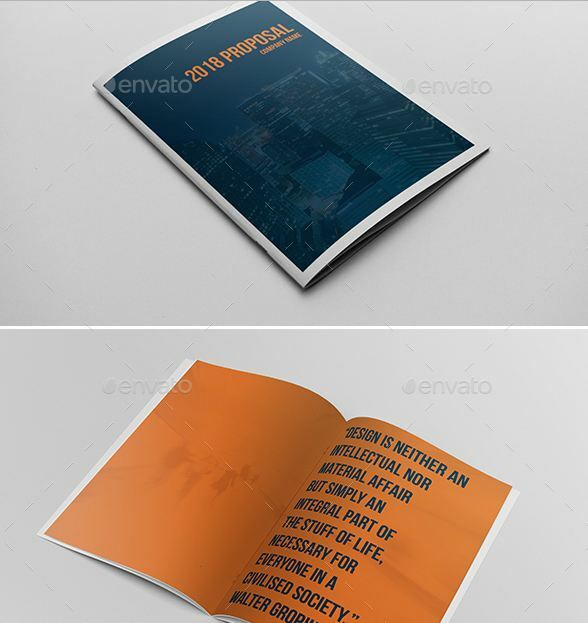 All the necessary section are included in the design: Main Cover, Portfolio Sample, Project Timeline, Term and Conditions pages, Pricing, Client Testimony, Company Value, Project Description, About Your Company and so on. It’s a professional pack of word documents designed by Andre28. 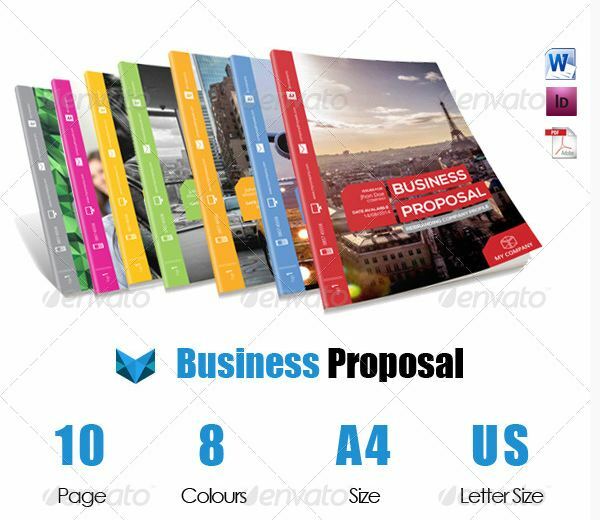 The download includes total 10 pages to edit and create a basic business proposal in Microsoft Word or InDesign for your new company ideas. 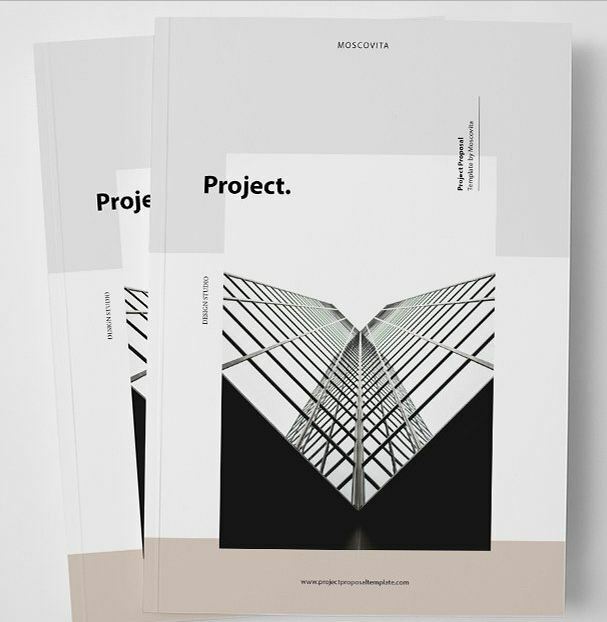 The design contains sections for project timeline, contract, invoice and completion form so you don’t have to look for these option in other places. Standard printable A4 size digital paper along with US Letter size are included. Check out the pdf help file you stumble into any difficulty while using the docs. 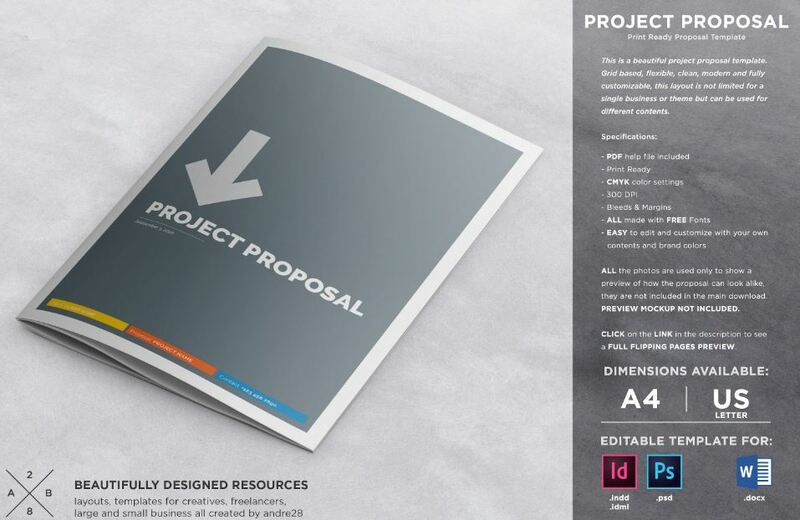 This could the best business proposal template for your design related project presentation. 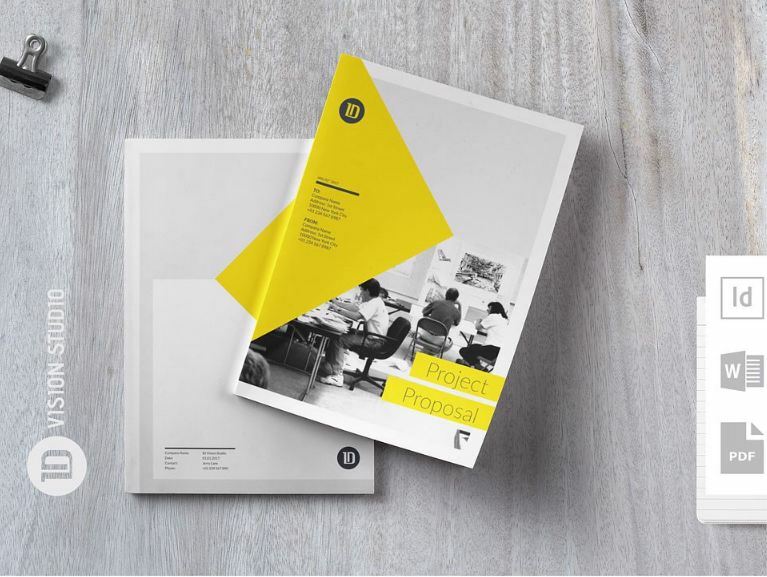 Create formal project reviews in no time with this editable print document. You can present creative agency company project with all the essentials in detail. Please note that this download does not contain docx format, only Adobe Indesign files format. You will get automatic page numbering with separated layers. 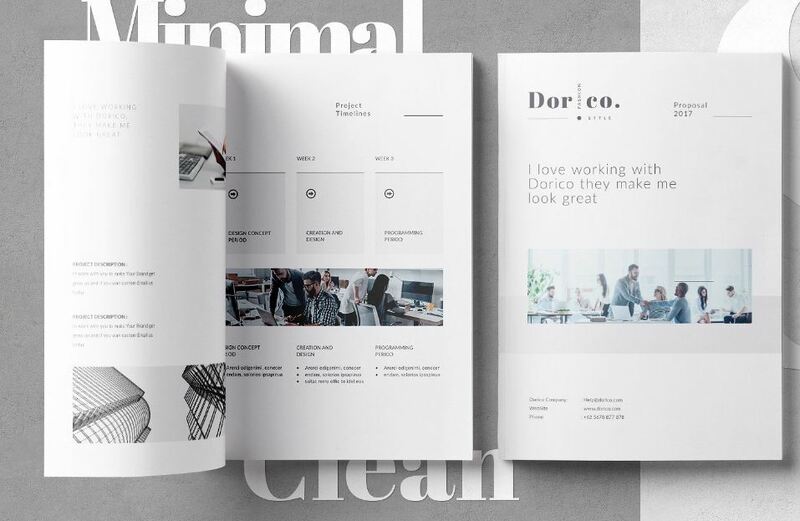 Download 36 Stunning Pages in docx format designed by binangkit. 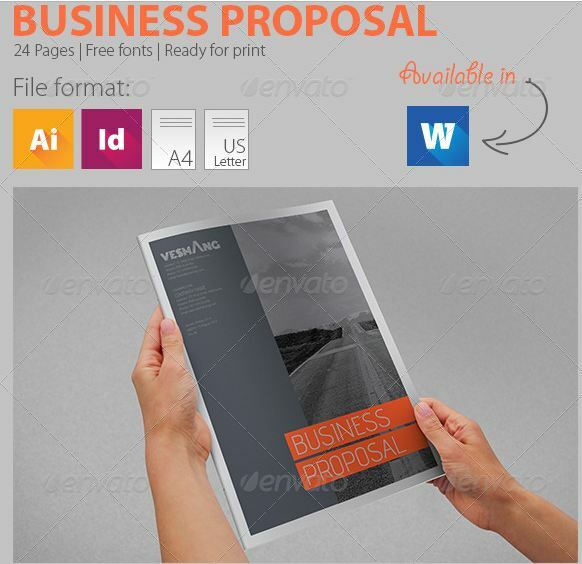 Make professional and formal business proposal in Microsoft word with your company details or ideas. 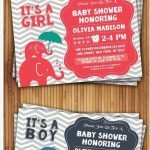 Use images, format texts as you like and use the perfect color scheme to make the whole thing appealing. Two free fonts have been used in the design- Open Sans and Lato. Download link for both fonts have been provided by the designer. Easy text replacement of the main files will save plenty of time. To land a job or dream project finance is not easy. 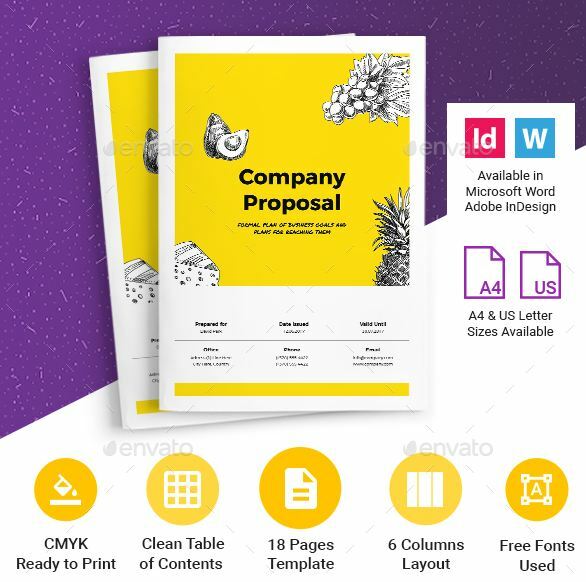 This docx template from IDVisionStudio will help you to produce your proposition in a way that’s going to catch the client’s or reader’s eye. A basic and professional layout with a creative vibe for a new company or start up business is present in the design. Many useful sections are included: Project Overview, Objectives, Terms & Conditions, Table of Content, Case Study, About Section and so on. Just edit them with the Microsoft Word Document software to achieve the final printable output you need. A super simple and clean layout to express your start up or small business ideas and thoughts – exclusively designed by AlfianBrand™. Edit them in Adobe Photoshop or InDesign and replace the default text/images with your description, information and selected images. Make your trade proposal easily accessible so that people can understand it without any complexity. 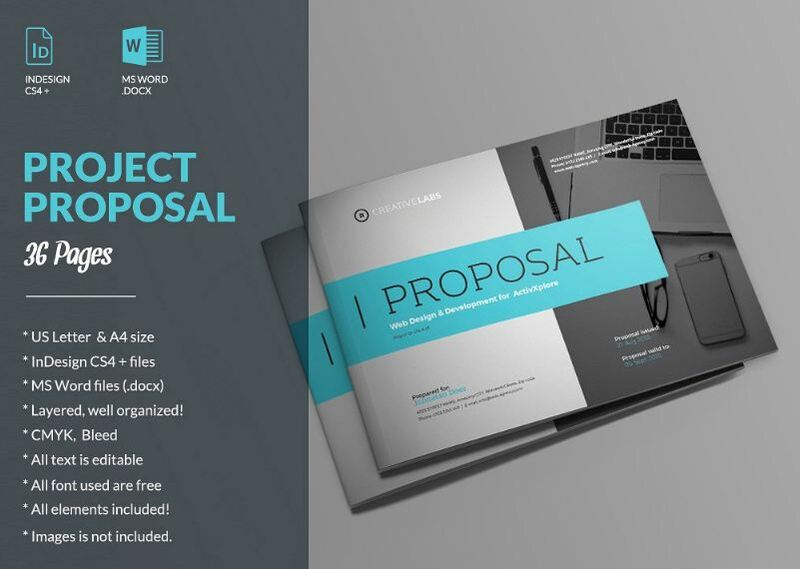 This is a complete word docx version of a popular proposal theme by MrTemplater. 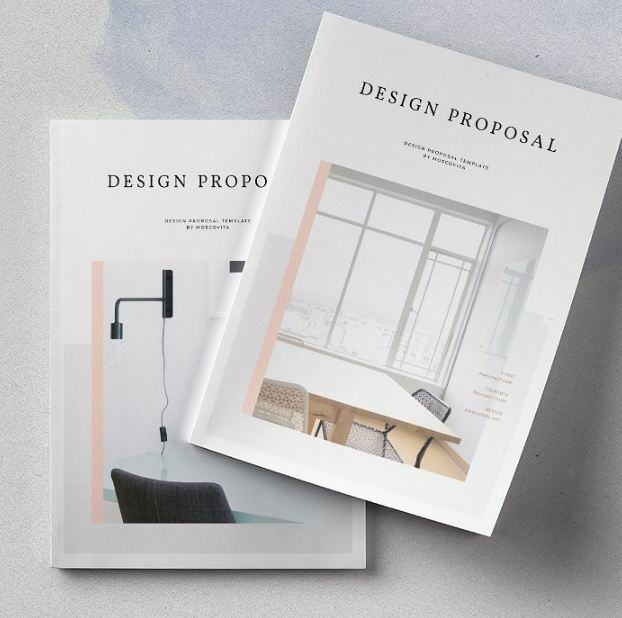 Download and create dynamic proposals with your bright ideas for a new or existing business. Another professional design by IDVisionStudio. This download includes 28 pages long high quality print ready word files. 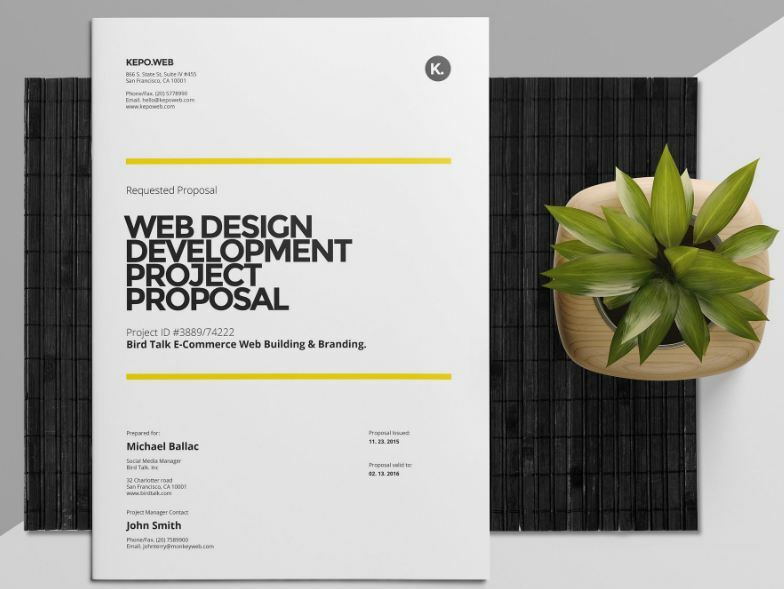 Designer maculinc used a fantastic red-white-black color scheme to design the proposal. Simple and formal layout for people who don’t like extra clutters. 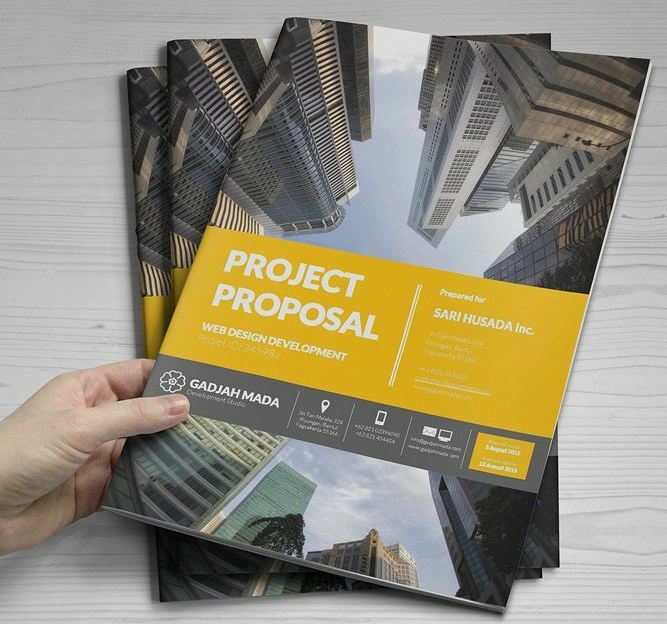 Another one designed by maculinc, 22 page long pack for general or niche specific proposals. A nice one with a simple and basic yellow based color scheme. 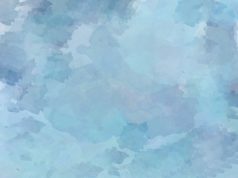 certainly it’s a very smart looking template from ArcticBlue. 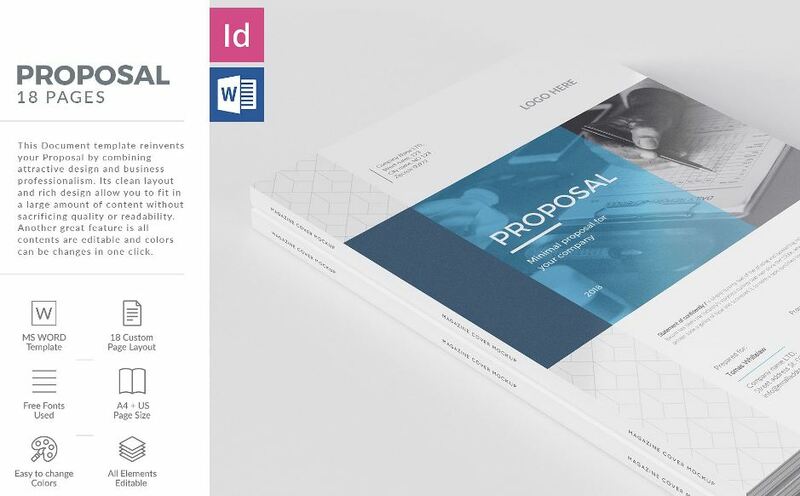 Edit them in MS word to create short and precise proposals with your creative ideas and images. An absolutely free word template to download. So that you can make a basic presentation yet a complete one. Yes, download a standard set designed and served by Microsoft, absolutely free – furthermore from their official website! 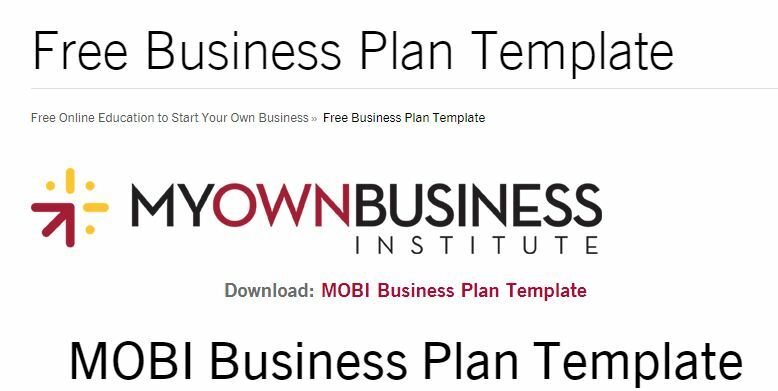 Santa Clara University’s My Own Business Institute Plans is a simple yet professional resource to have for the reason that it’s free!